Finally, snow! Last week (depending on where you live) we finally experienced some snowfall. Granted, it was probably very annoying for all the adults out there…but, it was exciting for kids! 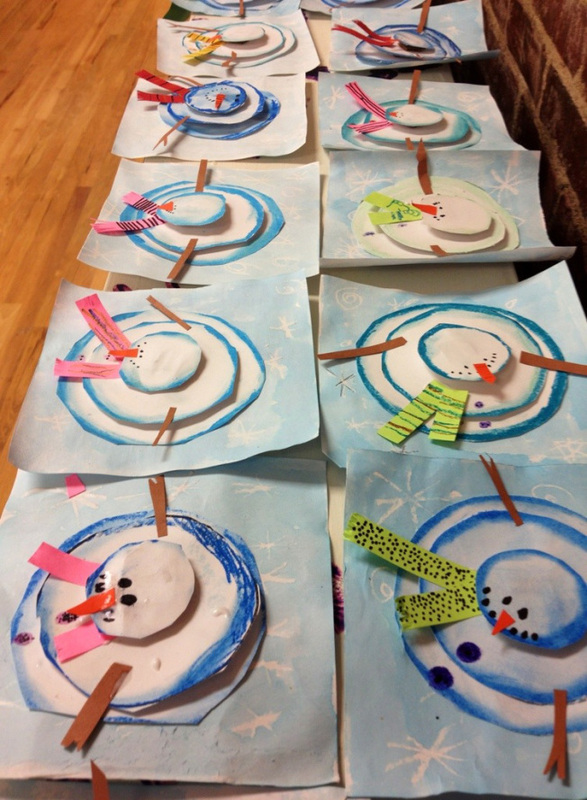 So, I’ve been inspired to continue with my winter lesson series, and do a post all about winter art activities! This is a great activity for kids to experiment with creating different patterns. They have the added perk of creating another dimension with a snowflake to be glued on. This activity would be a nice opportunity to use pastels, or even colored chalk, to give students practice with using different art tools. Isn’t there something about snow globes that is so calming? 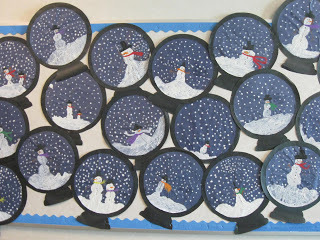 Have students cut out a black outline of a snow globe, then have them paint or draw the view of a snowman or two, with some snow flakes. There’s a great opportunity here to incorporate art techniques such as pointillism or experimenting with brush strokes. 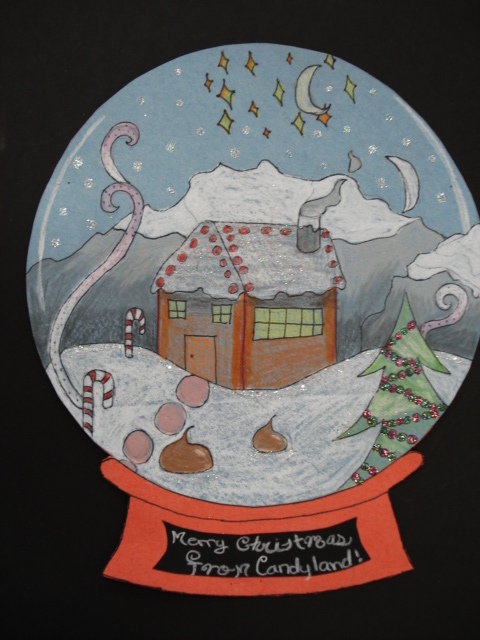 Alternatively, you can ask students to envision their idea of a winter wonderland and have them draw that in a snow globe. This is a great way to get kids to write up a reflection or presentation about their art work. I absolutely love looking at art that shows a subject or setting from a different or unusual perspective. It’s important for students to know that art can be portrayed in a variety of ways depending on the perspective, texture, colors and other artistic elements. 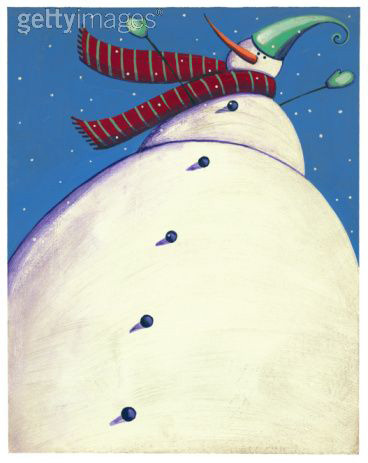 I love this project of getting kids to draw a snowman where the bottom of the snowman is the main perspective. A brief tutorial about spacing and sizing will help your students perform this task successfully. Here’s an example of another snowman, but from an ariel view. I like that there is a slight 3D element to this activity :). Taken from Play. Learn. Grow. 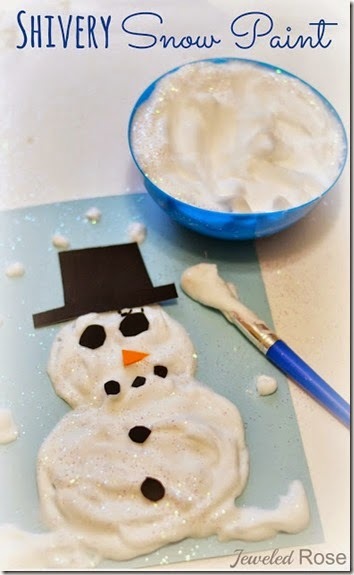 Give students the illusion that they are using snow to create their masterpieces, with this awesome “snow paint” idea. This will give students exposure to using texture to create art, and they’ll have fun! 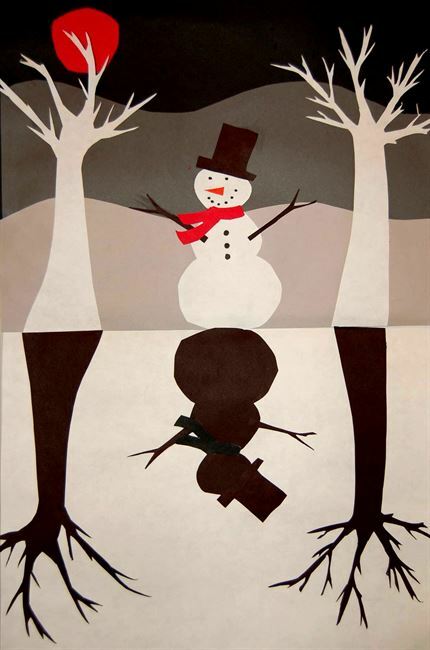 This is a great way to fuse art, math and winter fun. 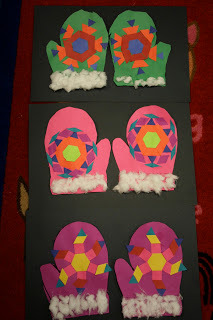 Have students create symmetrical mittens using 2D shapes as tracers. They can create their own unique patterns and perhaps even identify the shapes after. If you’re doing this activity with younger students, it’s a great way to further develop their fine motor skills. Isn’t this such a cool way to get kids talking about positive vs. negative images of the same scene? Have students cut out all their art, and trace their shadows on black construction paper to recreate the scene above. 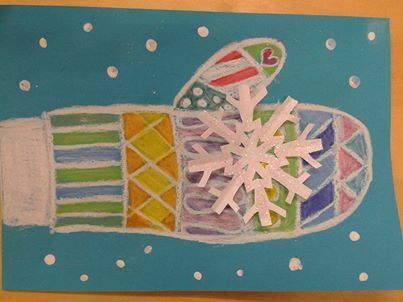 Let’s celebrate the beauty of the winter season with some great art inspiration for our students! Guest Post: A Guide To Following Your Passion… For Kids! Ah I love these! <3 So excited for winter. Thanks for the ideas.